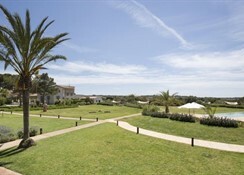 Font Santa Hotel is a hotel located in Campos in the Southern portion of the island of Mallorca. 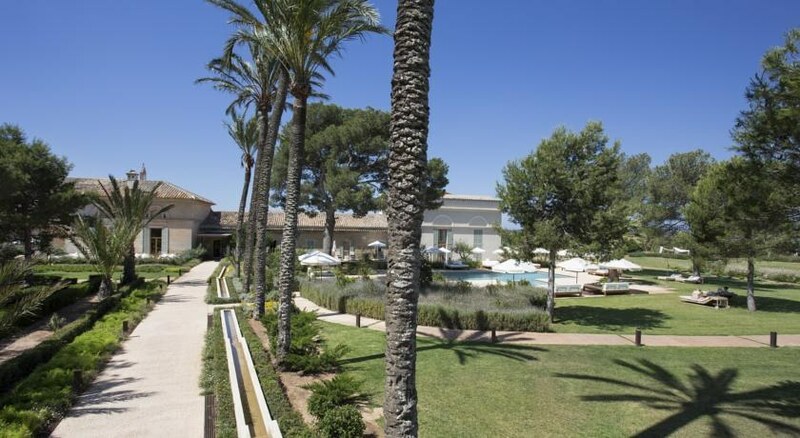 It is much more than just an exclusive location: one is able to enjoy from the pleasure and welfare of the thermal spa, which offers the only natural thermal waters in the Balearic Islands. This creates the ideal environment: the natural land is protected by the beautiful beach Es Trenc and Es Salobrar de Campos. We welcome you to relax in our wonderful space catered for comfort and tranquility and discover the best kept secret of our thermal water. Font Santa Hotel offer 36 cozy and spacious rooms, the majority of which offer private terraces with stunning views of the natural land of Es Trenc Salobrar of Campos. The design of the property has a combination of traditional as well as modern decor with hard wood floors complemented by light colors to encourage relaxation as well as prolong the wonderful sensations created by the thermal spa. 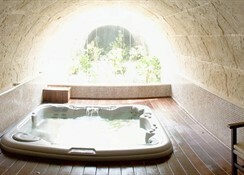 All rooms offer the latest technology and commodities that allow our guests to experience maximum comfort The waters of the Thermal Spa del Font Santa Hotel are different from any other spa in the Balearic Islands, so much so that they are the only thermal waters with subterranean origin on the islands. These waters emerge from underground and as they rise in shallow aquifers they aquire mineral elements in a form that would be almost impossible to reproduce artificially. Due to this process the waters present a high level of minerals at 25,34 gl, the predominant elements being chlorine and sodium in the form of salts. Other elements present in smaller concentrations include magnesium, calcium, sulfur, flourine, potassium etc. These rich minerals stimulate a series of positive effects on the body (skin improvement, improve blood and lymphatic circulation, etc) and because of this they have been declared for public use since 1869. In the Font Santa Hotel Restaurant clients are able to taste a kitchen of truly elaborate art with the most natural of ingredients from the fresh markets.